The state government finally gave its nod to a proposal that recommended property tax waiver for tenements in Mumbai with carpet area up to 500 sq. ft. The Maharashtra cabinet on Friday decided to introduce a property tax waiver for tenements in Mumbai up to 500 sq. ft. carpet area. However, the BMC would have to bear an annual revenue loss of Rs 400 crore. The waiver will be applied retroactively from January 1, 2019. This property waiver was promised by Shiv Sena in the year 2017 during the civic elections. The BMC had approved this proposal by Shiv Sena in July 2017 and it was sent to the state government for clearance. The state government did not consider this proposal until Friday when the last cabinet meeting was held. Another proposal recommended to waive off 60 percent of the property tax for flats with carpet area between 500 sq. ft. and 700 sq. ft. The state government, however, said that the power to extend property tax relief, in this case, lies with the BMC. An official stated that the cabinet had to clear such proposals where tax levied by a civic corporation is planned to be completely done away with. In cases where a tax limit is reduced or changed, the powers rest with the corporation. So, it is up to the BMC to decide if it wants to extend the benefit of tax relief to units of up to 700 sq. ft. carpet. According to the senior officials from the urban development department (UDD), there are 17 lakh units in Mumbai with carpet area up to 500 sq. 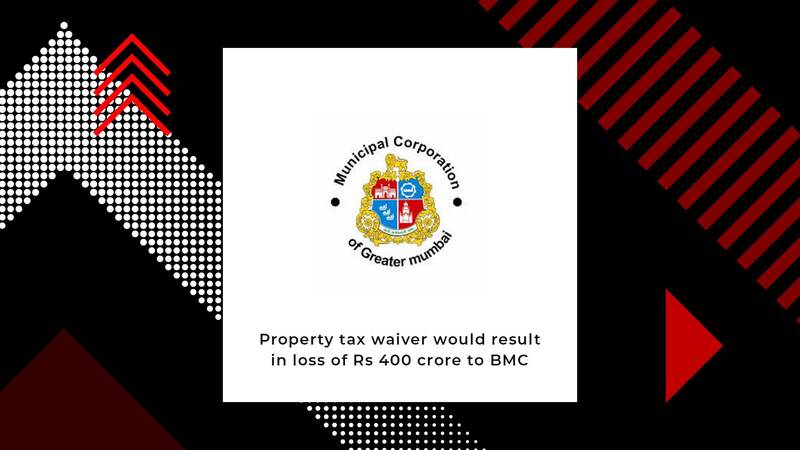 ft. A civic official said that the BMC’s annual target collection through property tax was Rs 5,600 crore and they would take a hit of around Rs 400 crore due to the waiver on smaller flats. If the proposal of extending tax relief to houses between carpet area of 500-700 sq. ft. is welcomed by the BMC, it will account for a loss of another 100 crores.